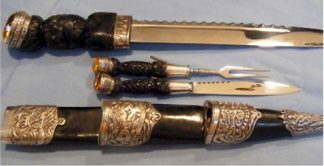 Home / Antiques / Antique Weapons / Antique Sgian Dubh / Gordon Highlander Sgian Dubh – SOLD! Gordon Highlander Sgian Dubh – SOLD! The sterling silver fittings on this Gordon Highlander Sgian Dubh are etched with a thistle design. 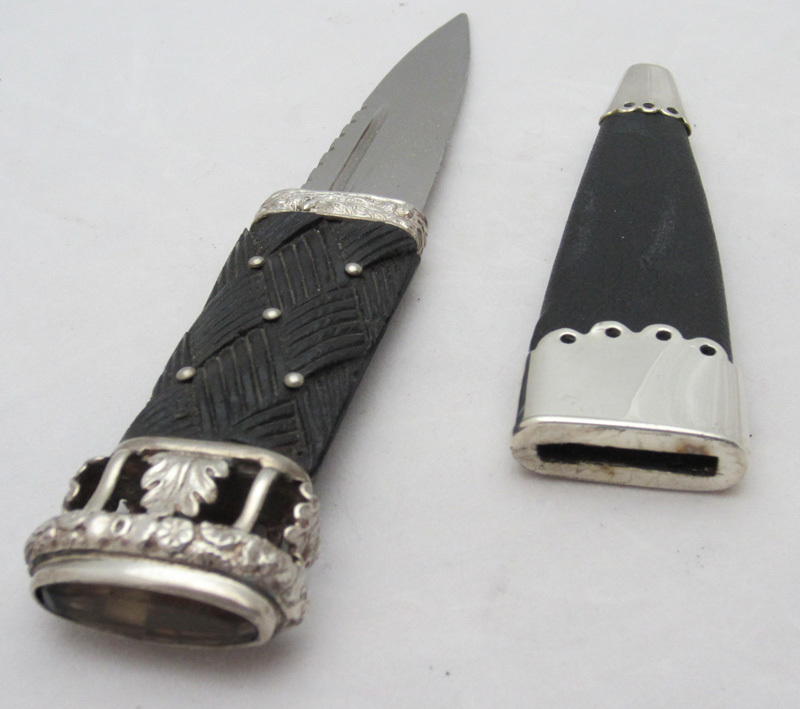 There is open cutwork around the pommel and a basket weave design is carved into the grip. A basket weave design is carved into the front of the grip. The base of the pommel has open cutwork of leaves encircling it. Note: The sheath is a replacement.